I found another streamer idea that I am so in love with! This time from O Chickadee. 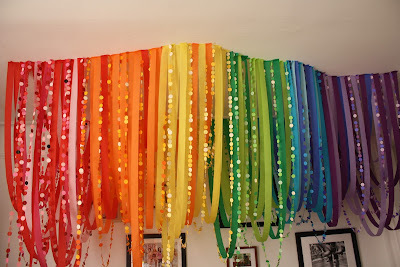 It doesn't hurt that it is another rainbow idea, but this would be so fun in a monochromatic mix too. 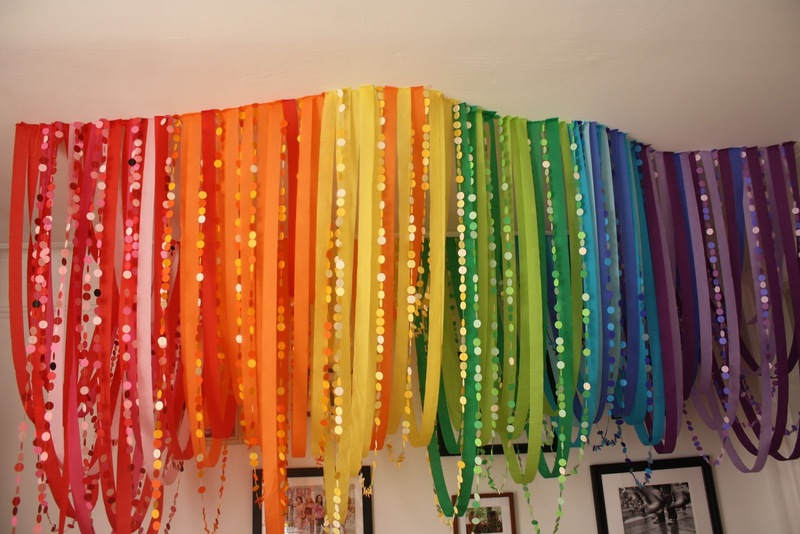 Check out all of the pictures of these fun streamers (including how they hung them all) HERE and check out more of my favorite streamer ideas HERE.